The X-Men and the Brotherhood have vanished, and mutant persecution is on the rise. For mutants in the USA, their last hope is the Underground network which protects them and smuggles them to safety. Reed Strucker is a district attorney who has prosecuted a number of mutants, for the good of public safety. When a twist of fate reveals his own children are mutants, and being hunted by an anti-mutant government agency, he has nowhere to turn except the Underground and their quasi-leader Marcos Diaz, aka Eclipse. In exchange for helping the Struckers escape, Reed will help Eclispe rescue one of their own, the woman he loves and mother-to-be of his child. Thus, the Struckers and the Underground are bound together, two families fighting for each other, both hunted by the same enemies. Set in the Marvel Cinematic Universe of Avengers’ fame, this show, like the movies, is named after the people whose adventures it follows. SHIELD, the organization which brought the Avengers together and protected their backsides more than once, has protected the world from all manner of threats for decades. International intrigue, terrorism, mad science, alien invasion, you name it, and Shield has faced it. The agents continue their efforts to this day, fighting secret wars in the shadows of a changing world, dealing with the extended fallout of events from the movies, facing overwhelming odds and defending the Avengers’ left flank without every being known or praised for it. Tandy Bowen and Tyrone Johnson are a pair of teens in New Orleans. They come from such different lives, they practically come from different worlds, yet they are connected by a tragedy, by the loss of loved ones, and by the source of their unusual abilities, which they discover by a chance meeting. Like yin and yang, light and dark, they wield powers, and personalities, which are at odds with one another, yet make each other stronger. They use their newfound skills in service of justice, and mercy. 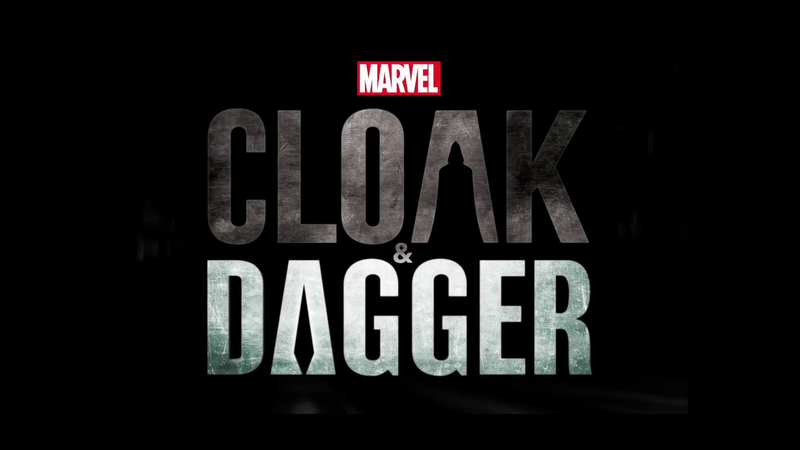 This is the story of how two people at odds come together as one in the legendary partnership of Cloak and Dagger. Airing for only two seasons, Agent Carter followed the adventures of Captain America’s love interest in his first movie, Peggy Carter, in the years following World War II and preceding her eventual role in founding Shield. As a secret agent of the OSS, and a close friend of Howard Stark, Carter does a job that most would say would require an entire spy association or at least a team. She faces conspiracies, enemy agents, and even extra-dimensional threats with only what she has on hand, and she does this while facing down the sexism and prejudice that was considered normal in those days. After being presumed dead for five years, young billionaire Oliver Queen is found on a deserted island in the North China Sea. Rescued and returned to his home and family, Oliver is a very different man than he once was. He has secrets now, many of them, including a mission given him with his father’s dying breath: to save their city. To that end, he dons a hood and a mask, wielding a bow and arrow to bring justice, and vengeance, to a city in need of both. He has become someone else, something else. Nine years ago, the heroic metahuman vigilante known as Black Lightning waged war with the powerful gang known as The 100. Then he disappeared, retiring into his civilian identity as Jefferson Pierce, to become a school principal. Since then, The 100 have risen again and now run rampant in his community. When chance of fate turns the danger towards his daughters, Anissa and Jennifer, he must don the mask and suit once more, and Black Lightning is reborn. Now he must balance his family, his community, and his illicit heroics as he fights again to protect the innocent within a rising storm of violence and tragedy, facing down the same enemy who almost killed him nine years ago. At the same time, his proactive, tempestuous daughter begins exhibiting abilities of her own, walking in her father’s footsteps to become Thunder. The criminals better watch out, ’cause Black Lightning is back! 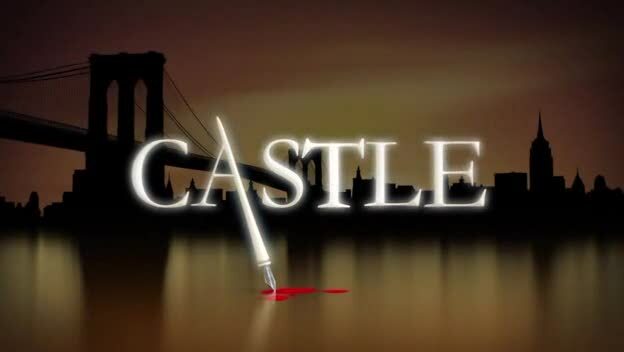 Murder-mystery novelist Richard Castle finds himself involved in a homicide investigation alongside NYPD Detective Kate Beckett, and then finds himself inspired by her example. Having just completed one series, he begins another one starring a character based on her, and begins following her around as she works. 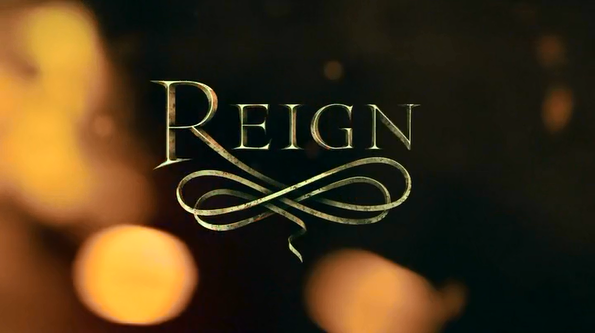 Over the course of the show’s eight-season run, they become unofficial partners as well as love interests, while bringing murderers to justice, facing serial killers, and tracking down the government conspiracy that, among other things, is responsible for the murder of Beckett’s mother. 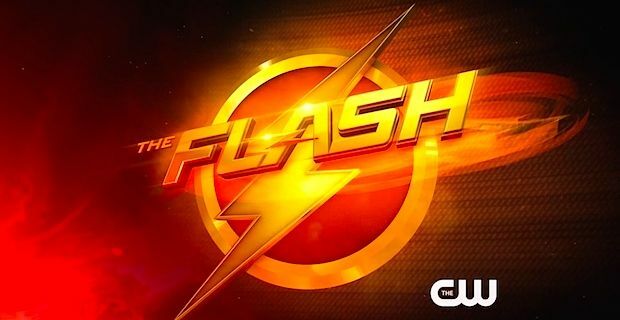 The first spin-off of the universe begun by Arrow, The Flash follows Barry Allen, a CSI for the police who gets struck by lightning at an exact moment and under exact conditions that, after spending months in a coma, he awakens with the ability of super-speed. He immediately goes to work as a superhero, saving people and facing all manner of deadly enemies with the help of his friends. He is constantly pushed to his limits as he fights for his city and his loved ones, but he is a champion not to be trifled with. He is the Flash! Everyone knows that Bruce Wayne saw his parents gunned down right in front of him when he was just a boy, and this set him on the path to becoming one of the greatest heroes the would ever know: Batman. But how did this happen? How did an orphaned, traumatized boy become the Batman? This is his story, told alongside the story of Jim Gordon, a detective fresh to the Gotham City Police Department, as he fights to save the city from the madness rising to swallow it. This is how Gotham became a city in need of a dark knight. 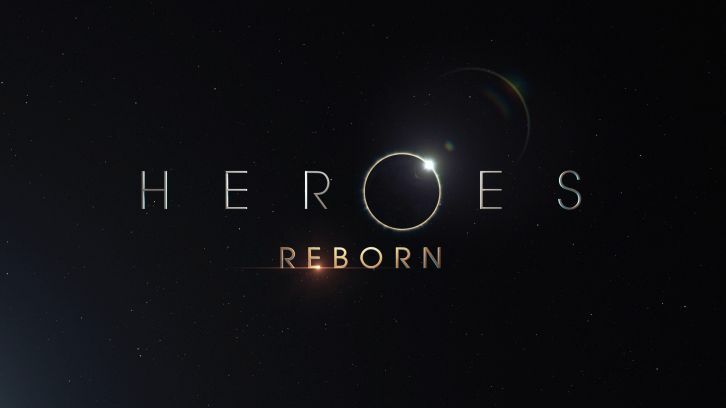 Airing for only one season, Heroes Reborn brought the Heroes saga to a conclusion. Taking place several years after the events of the previous series, the story follows various people around the world as they meet and combat the extended threads of a central conspiracy. Their enemy is a great corporation set on remaking the world in its own image, a world where almost everyone has died, only the elite, chosen few have survived, and Evos, the people with superpowers, are all imprisoned and exploited. And even if the Heroes succeed, they still have to stop the end of the world. Also set in the MCU, premiering late September of 2017 filling the slot intended later for Agents of Shield. The Inhumans, it seems, have been around for a very long time. They have a secret city on the far side of the moon, under the reign of their king, Black Bolt, and his royal family. But there is dissent within the ranks, and the king’s own brother, Maximus, leads a military coup against them. Thus, the Inhuman Royal Family is forced to flee, escaping to Hawaii to regroup and determine how to save themselves, their people, and the world from Maximus’ ambitions. 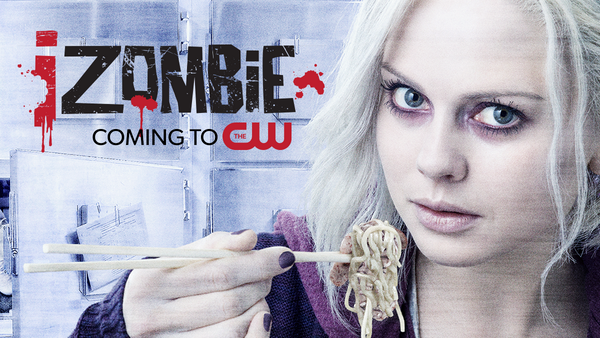 Airing for three seasons thus far, and now in their fourth, iZombie follows the (after)life of Liv Moore, one of the first zombies in the world. Formerly a medical student well on her way to being a doctor, Liv becomes a medical examiner in the coroner’s office of Seattle PD. There, she uses her gifts as a zombie, gaining visions of murdered victims’ lives and deaths, to help solve their murders. This while dealing with corporate conspiracies, an evolving zombie community that is not entirely saintly, and her own complicated personal life. I dropped this show because… well, it’s just very emotionally intense, and I am an emotional pushover. The second official spin-off from Arrow and The Flash, Legends of Tomorrow follows a group of lesser-known heroes, villains, and outcasts who are gathered together to form a team. They travel around the world and through time, protecting a fragile timeline of events as they face long-lived villains, time pirates, and threats to all of time and space. But, please, don’t call them heroes. They’re Legends. I dropped this for similar reasons as I dropped The Flash, and I am reconsidering that decision also for similar reasons. This ongoing fictional drama follows various figures connected to the country music industry centered in Nashville, Tennessee. They don’t only make music, they have very complicated lives, filled with all manner of personal drama and tension. It’s a very intricate, multi-threaded plot, filled with laughter, tears, joy, triumph, and tragedy, and pretty much everyone is important, because everyone has their own story. That’s where the music comes from. There is a place where all of the fairy tale characters live. Snow White, Prince Charming, Cinderella, Red Riding Hood, the Evil Queen, Maleficent… they’re all real, and so are their stories. They aren’t the same stories we knew, but they’re real, and they’re all trapped, suffering under a terrible curse. Enter the hero, Emma Swan, drawn by a family she didn’t know she had, to face evils she doesn’t know with magic she doesn’t believe in. Can she believe? Will she? Can everyone’s happy endings be returned to them? I was a pretty big fan of this show for a few years, but it declined considerably over the course of a few seasons, and my brain began to protest continuing to watch it. There may be some promise in this next season, but for now, it is dropped. Running for four seasons and following the titular reign of Mary Stuart, Queen of Scots, this historical fiction is a dramatic reinterpretation of her life. Running for four seasons, the show depicts Mary, her family, and her friends navigating the dangers and intricacies involved in the drama of nations on a personal level. This includes dealing with issues of international intrigue, political rivals, religious turmoil, and many other crises, as well as their interpersonal relationships. A terrible accident took Elena Gilbert’s parents from her, leaving her feeling dead inside. Then she met Stefan Salvatore, a handsome, mysterious transfer student, and something about him helped her to feel alive again. But there’s something dangerous about him as well, and slowly she realizes the truth: he’s a vampire. Almost overnight, and for eight full seasons, Elena, her friends, and her family, are swept up in strange, deadly events that defy normal explanation, fighting ancient, implacable enemies, as well as their own inner demons, with their very lives, and perhaps their souls, at stake. Peter Burke is a no-nonsense agent of the FBI’s white collar division, and Neal Caffrey is a convicted thief and conman who thrives on nonsense. For six seasons, they solve crimes and bring criminals to justice together, while also pursuing greater mysteries in a cat-and-mouse game with dangerous enemies… and each other.